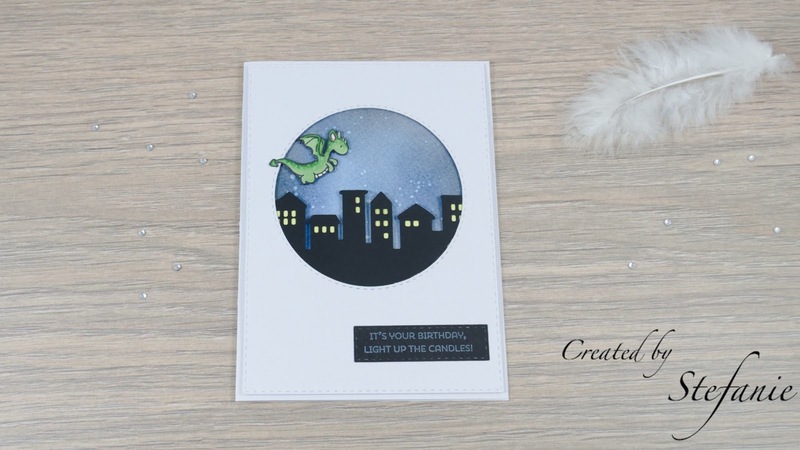 I love this layout of the card, the white card stock with the stitched detail and circle cut out and layered with some dimensionals. This time I used it with the cute Mama Elephant stamp set "Dragon Wishes". The green cutie and the sentiment both originate from this stamp set. The design fits the Going round in Circles challenge from Make my Monday perfectly. I cut out the houses with a die cut (I'm not really sure if this is the MFT one, or another. It is dated back in the time my die storage system was way too messy) and used some yellow card stock as lights. 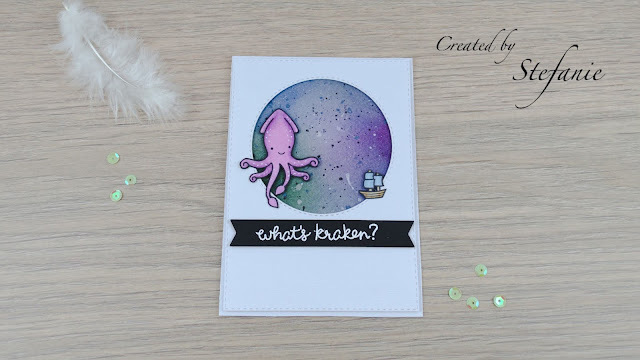 The background is a distressed one with faded jeans, chipped sapphire, black and some white acrylic paint spatters and qualifies for the inked background challenge from Mix it Up. It is yet another CAS card, even though this one has more layers as my usual ones, it still is pretty clean and simple to make and I can enter the CAS challenge from Scrap from you Heart as well. This is stunning!! Wonderful card and design. Thank you for joining our challenge at Scrap from your heart. 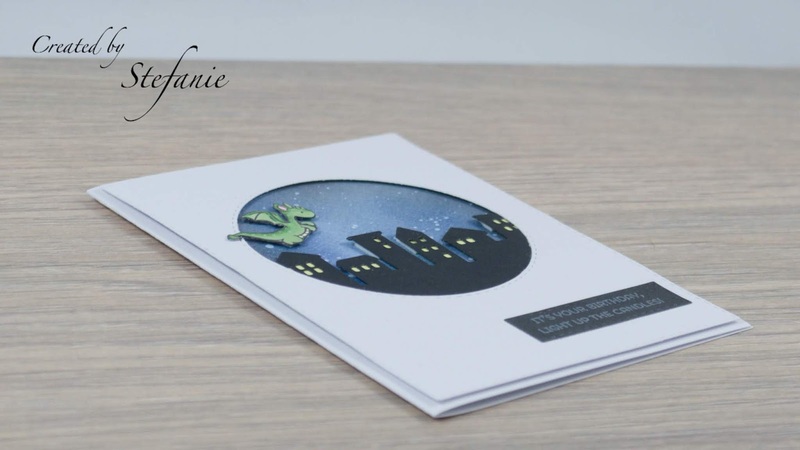 Thanks for sharing your fabulous project with us in the Mix It Up Challenge Blog's March "Inked Background" challenge and we hope to see you again next month!